After leaving FIT, Kors went took a job at New York boutique, Lothar’s. As part of the deal, Kors was allowed to showcase his own designs in a limited manner in the store. Kors accepted the modest business proposal, and doing so proved to be a fateful decision. While setting up some clothes (of his own design) in the window of the shop, his work caught the eye of Dawn Mello, who was then employed by Bergdorf Goodman across the street. Mello knocked on the window to inquire as to the designer of the clothes going up in the window might. Mello’s interest spurred Kors to go ahead and start his own collection. Within a year, Kors’ collection was for sale in Bergdorf Goodman; a little later, Saks Fifth Avenue. All it took to get his brand off the ground, was a little recognition. He noticed it, and took the actions necessary to follow through on it. Despite a string of successes in the first decade and a half of his career, Kors ran into problems in the early 1990s. He filed for bankruptcy in 1993. To recover, he re-launched his brand shortly thereafter, with a new lower price point. Though the reinvigorated eponymously-named brand was slowly taking root, Kors’ real rebound came when he became ready-to-wear designer for French fashion house, Celine in 1997. That year, the business proposal came from Celine. Kors accepted the proposal and would go on to spend the next six years at Celine, before leaving in 2003 to turn his attention to his own company once again. At the time, Kors was quoted as stating that he was none too remiss about leaving the French label for bigger and better things. Kors’ menswear collection reflects his minimalist ethos (though he rejects the descriptor “minimalist”). Kors’ designs are free from overly ornate trends which he says only serve to date his designs. Kors thus applied the minimalism and sensibility (the simplicity, you might say) that had made his women’s wear designs successful to menswear, with welcome results. In 2004, Kors was invited to join the judges on the then fledgling Project Runway television fashion design competition. Accepting the business proposal, Kors once again found himself in front of the cameras. The show became a success and brought Michael Kors into worldwide households on a weekly basis, elevating his profile. Though Kors left in advance of the 2013 season of Project Runway, Kors certainly enjoyed the boost given to him by judging the competition. During the 2011 initial public offering (IPO) of his company, Kors capitalized on his elevated profile. The company is sold in 47.2 million shares at around $20 each. At the time, it was the largest fashion industry IPO in history. The stock eventually doubled to $47 per share. What do you think about Michael Kors’ billion-dollar fashion empire? 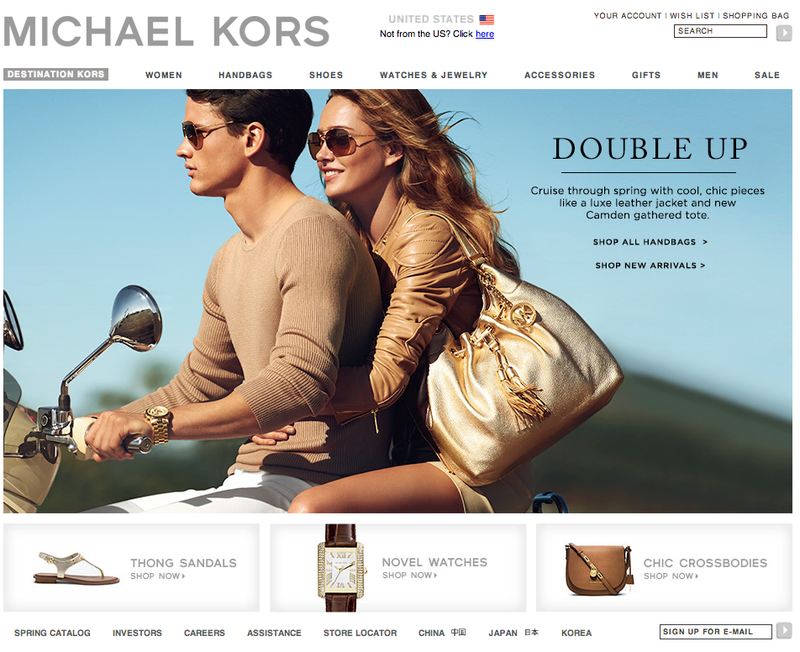 Kors has made a succession of great moves – and admittedly, a mistake or two. There’s a lot to learn about seizing opportunities, making connections, expanding as appropriate, and elevating your profile. These are all lessons that any entrepreneur can take something away from. What do you think Kors has done best? What could he have done better? We’d love to hear from you in the comment space below.